The Supreme Court, on Monday, disposed of the Petition filed by former Union Law Minister Ashwani Kumar seeking ratification of the UN Convention against Torture and Other Cruel, Inhuman or Degrading Treatment or Punishment. "The absence of a standalone, comprehensive, and purposeful municipal legislation in India for the prevention of custodial violence, and disinclination of the Executive and the Legislature to enact a law in this regard has resulted in a disturbing void in law endangering the constitutional right of persons affected by custodial violence and torture. Considering the extent and nature of mischief, violation, depravity and consequences involved in custodial violence and torture qua the victims and the resultant infraction of human right, the power conferred upon Parliament under Article 253 of the Constitution of India read with Article 51 thereof ought to be construed as a binding constitutional mandate to the State to enact appropriate legislation to prevent custodial violence and torture in India." 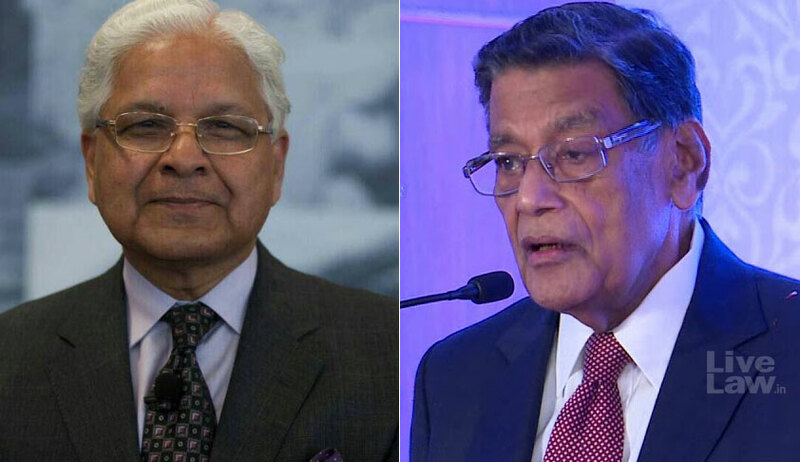 During the hearing on Monday, the Bench comprising Chief Justice Dipak Misra, Justice A.M. Khanwilkar and Justice D.Y. Chandrachud was informed by Attorney General K.K. Venugopal that the relief prayed for in the Petition has already been discussed by the Law Commission of India (LCI). Mr. Venugopal then assured the Court that the LCI report is being "seriously considered" by the Government. In view of this statement, the Court disposed of Mr. Kumar's Petition. Speaking to reporters after the hearing, Mr. Kumar was hopeful that the Government would abide by its submissions made before the Court and said, "It appears to me that the Government of India, as per the statement of the Attorney General in the Court today, will seriously consider a suitable legislation. Now this is so important because people like Abu Salem, people like Jauhar, who are involved in terrorist activities, people like Kim Davis and even Vijay Mallya has been saying that we will not go to India for trial because we are subjected to torture in custody. This has international ramifications because the Government of India was being asked every year in the UN Human Rights Review, as to what was India doing to bring in this legislation, and every year we used to assure the UN that we will do so. I am hopeful that in view of the Attorney General's statement today and the Law Commission's report, some useful work will be done. If not, we will see what other recourse we have to make sure that people of India are not tortured in custody and behind bars...(sic)"